Self-esteem is subjective. We each determine for ourselves our self-worth. This is the good news and the bad news. Since this is a personal judgment based on our own assessment, we can change it at any time. Because it is our own assessment, we also create a groove of thought that is both positive and negative, which is similar to how a vinyl record plays with a needle in the groove. This personal groove of thought is where I found myself wanting relief and change. I desperately wanted to create something that would lay a new pathway in my brain and change the record that played endlessly in the back of my head because of addiction. I was constantly saying to myself that I was not good enough, too large and not right. At my core, I was not loveable and I felt trapped by my negativity. These negative thoughts played over and over on repeat like how I used to play the Moody Blues song, “Nights in White Satin” on my 1970s record player. 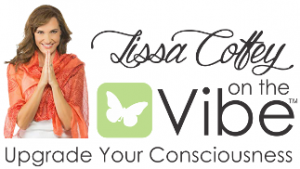 There are many writers and inspirational speakers who talk about creative visualization. How using affirmations and positive thinking are intended to improve self-esteem, self-worth and self-perception. I researched, read and practiced. I referenced the writings of Louise Hay, Norman Vincent Peale, Wayne Dyer, Shakti Gawain and Marianne Williamson. These authors taught me a new song to sing and a new record to play. They allowed me to focuses on statements that would improve my self-confidence. I thought of ideas such as how the power and potential of self-esteem could be gleaned from positive thinking. I understood the concepts quickly, but had trouble incorporating them into my daily life. In the years of my early recovery, I used the book “The Artist’s Way” by Julia Cameron as a writing guide. In the journaling process of morning pages, I would write messages to myself. Simple sentences like – everything is just right. God has my worries taken care of. The universe loves you. Today I am in recovery. Next, I started writing these phrases on small cards and putting them in places where I would see them throughout my day. They were taped to mirrors, on the refrigerator, the dashboard of my car and inside my wallet. Everywhere I looked, I was helpfully reminded of new ways to train my brain. I used this same technique when I learned automatic writing to soothe my troublesome thoughts. Within the rooms of the 12-step world of recovery, I felt understood. I learned that prayer could heal emotional and physical afflictions as well as self-loathing. I learned that I could feel love and compassion for myself and others. I learned the power of surrender and what it feels like to completely release fear in my daily life. This was extremely beneficial for my self-esteem. My journal writing progressed to a daily spiritual practice and I began to experiment with automatic writing where I used my non-dominant hand and let my inner voices of spirit direct my words. In the beginning, I didn’t know what to call the written pieces. They were journal entries, yet a bit like poems. They were affirmations, yet something different. Calling them prayers seemed right. I used them in the way I had used the serenity prayer when I first discovering a life without alcohol and drugs. I realized my mother used verses from the Bible to comfort herself. My father used the affirmations of Norman Vincent Peale as his thought director. It was all fitting together for me. This helped me to keep writing and I felt happier and stronger. When I pray, my thoughts shift to positivity and calm, which greatly enhances my day. My life becomes easier. At some point, I stopped attempting to figure things out myself and surrendered to the truth of it. I now feel better about myself as well as the world that surrounds me. I can see possibilities that used to elude me. I now feel more hopeful everyday and have inspiration to share with others. For me, that is enough. I am complete. I am whole. I am love. Know this today and each day forward. Kay Christy is the author of “Gifts from Guidance” and a life coach who has been in recovery for more than 30 years. She received a bachelor’s degree in business from The Evergreen State College and a master’s degree in behavioral science from City University of Seattle. She resides in Olympia, Wash.
Long before Prozac, there was prayer. Can you see the prescription now? “Pray two prayers, twice a day until symptoms subside. Then continue the treatment over the course of a lifetime to prevent symptoms from recurring.” Prayer is a remedy. We can turn our burdens over to God and feel the weight drop from our shoulders. Why do we feel the need to carry around all that heaviness? Pray. And then pray some more. And then keep praying. And feel the lightness return.